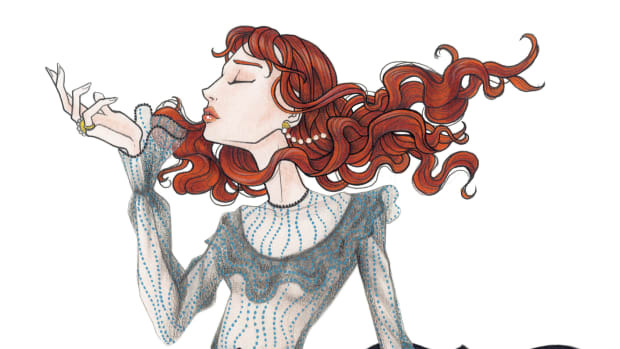 Florence Welch Hearts Willow: Is She the Aussie Brand's Chance at American Success? Willow, an Australian women's clothing label, has remained pretty much under the radar since its beginning, at least in the U.S. Kit Willow's designs are sharp and feminine. We feel like the clothes are more than appealing enough to be successful in the U.S., and the brand's relative obscurity here is a bit puzzling to us. It does seem that difficulty breaking into the American market plagues a lot of Australia and New Zealand-based brands, which may be partly due to distance and difference in seasons. Karen Walker, for example, makes amazing clothes and even shows at New York Fashion Week--as does Willow--but is nearly impossible to find in the U.S., despite having multiple boutiques and a line for Topshop in New Zealand. Willow has three boutiques in Australia--one of her dresses even covered Australian Vogue in March. Willow, an Australian women&apos;s clothing label, has remained pretty much under the radar since its beginning, at least in the U.S. Kit Willow&apos;s designs are sharp and feminine. We feel like the clothes are more than appealing enough to be successful in the U.S., and the brand&apos;s relative obscurity here is a bit puzzling to us. It does seem that difficulty breaking into the American market plagues a lot of Australia and New Zealand-based brands, which may be partly due to distance and difference in seasons. Karen Walker, for example, makes amazing clothes and even shows at New York Fashion Week--as does Willow--but is nearly impossible to find in the U.S., despite having multiple boutiques and a deal with Topshop in New Zealand. Willow has three boutiques in Australia--one of her dresses even covered Australian Vogue in March. However, if Willow is looking to break out on this side of the equator, she now has a decent chance. That&apos;s partially in thanks to a British indie band which skyrocketed to success this year. Florence Welch of Florence and the Machine has been wearing Willow to death at concerts, talk shows, press appearance, and magazine shoots. The band is performing at this year&apos;s MTV Video Music Awards, where it&apos;s nominated in four categories. Florence may not yet have the influence of someone like Lady Gaga or Rihanna, but the night could be pretty major for both Florence and Willow, if she does decide to wear the brand. We think this will undoubtedly bring a lot more awareness to the brand, but Willow will probably need to do more, like increase American retail availability, in order to achieve longstanding success. What do you think? Does Willow have western hemisphere appeal, and can a band of the moment help bring the brand out of obscurity? The singer's wardrobe will consist exclusively of pieces from Alessandro Michele's latest runway collections. Bonus points for her chubby pink fur coat.